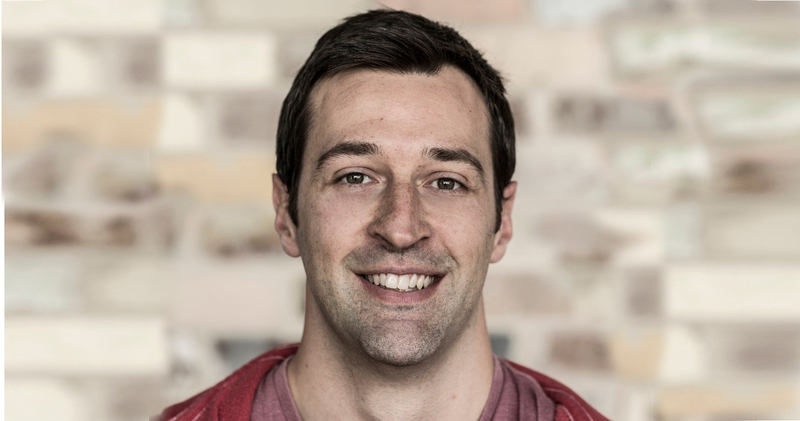 Matt Connelly is a mechanical engineer and entrepreneur. Before discovering his passion for STEM education, encouraging kids to find their own reasons to study engineering, Matt worked for a number of high profile defense, aerospace and rail companies introducing new and innovative products. He is the founder of Me3D, a member of the Autodesk Entrepreneur Impact Program. What did you study in school, and how did that work lead you to what you do today as the founder of Me3D? I “studied” Mechanical Engineering at University of Wollongong, but realistically I spent most of my time in the university workshop trying to put what I could into practice. I built race cars, robots and had a go at anything that would fly. Having taught engineering at a few different levels, I’m realizing how lucky I was as a kid that my dad had a kitted out shed and electronics workshop, I just thought everyone had that kind of thing. I remember doing a school physics assignment where we built rubberband powered cars. Everyone else made theirs from Lego, cardboard, and disposable plates, I turned up with a car that had a carbon frame, Teflon bearings, and a vac-formed shell. I can’t imagine what my kids are going to do now that they also have access to awesome 3D modelling tools, laser cutters and 3D printers. Me3D is a maker of 3D printers, but you are also involved in education. Please tell us more about that work and your unique approach to teaching students 3D printing and CAD. We designed the Me2 with a vision of having 20 of them scattered around the desks in a classroom all run directly by the students. Having the technology right there on the desks breaks down any barriers that might scare them off and students can use it straight away. We got involved with the education side of things too when we noticed some gaps in how teachers were using the machines to educate. When we take a class of students for the first time we will shortcut the typical CAD learning curve by having them use image converters, text tools and apps like Project Shapeshifter first. Once we’ve shown them the bits on the printer that can bite them, we let them go and in less than a minute can progress from zero experience to printing their first custom thing. It may work, it may be a catastrophic failure, but we firmly believe that experimentation and failure is far more valuable than guaranteed success. After running through the process they are hooked and will dedicate the time to learning the in depth tools like Autodesk Fusion 360. The Me2 is an awesome little device that embodies all the key areas of STEM education, and because kids love watching robots, it gives us the ability to trick even the most disengaged students into learning something. Students get engaged with 3D printing by working with the Me3D printers right away, then moving into the design software. What is the Seed 3D program and how do you hope to build community awareness of 3D printing through the program? 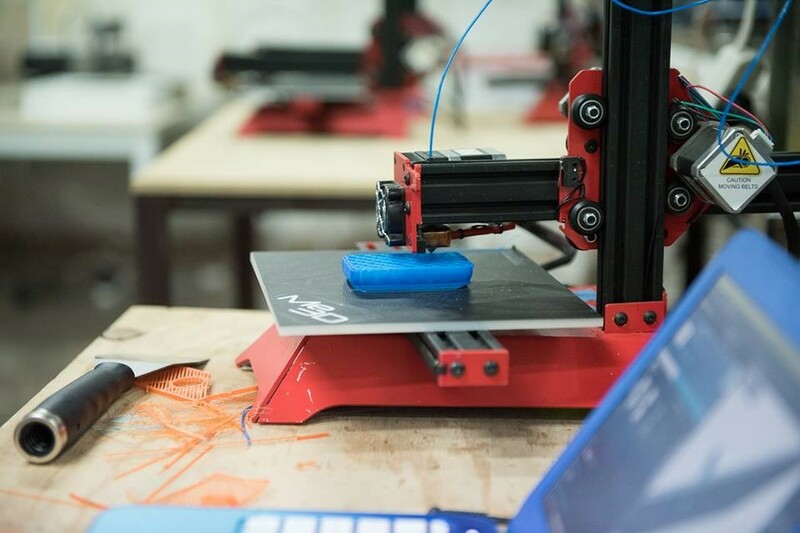 Seed3D started as an incentive scheme that engaged our customers and the local community to provide expert 3D printing advice to schools, and in turn Me3D would provide discounted or free printers to the schools that were involved. We’ve now grown Seed3D.org into a separate platform for teachers and students to explore and document great design practices for 3D printing. We provide lesson plans, practical resources and competitions that get students using 3D printing in ways that create real impact right now. We have just closed our pilot competition run by RDA-Hunter with spectacular results. The competition had students from 22 local high schools develop product concepts to solve a “Human Factors” problem, we asked them to develop sketches and descriptions and also tasked them with creating a sheet that demonstrated the real value of the design for the user. Ideally we were looking for those ideas that created impact with just a few cents' worth of plastic. We received hundreds of concepts and now we have the job of trying to pick 8 and help turn them into a reality for the students. The novelty and creativity of the entries has been mind blowing. We’ve seen entries that range from a set of 3D printable eyebrow waxing templates, to a simple device that prevents your shoelaces from coming untied even a very cute giraffe shaped tea-bag jiggler; for those giraffe-loving tea enthusiasts out there. What is incredible is that all of these concepts were able to demonstrate a value to the user, which is the important thing for us. I don’t know what sort of entries we expected to be sent, but none of these would have been on my list. How do you incorporate sustainable design principles into your work? 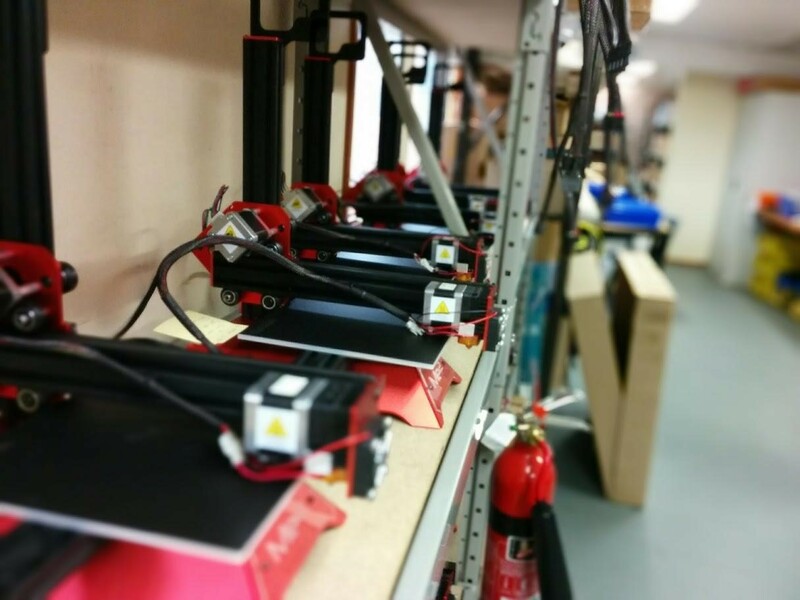 We take the idea of sustainability in 3D printing a lot further than recycled filament. The printers themselves are optimized for transport to keep our carbon footprint as low as possible, and we have a through life plan for the machines that makes them completely serviceable and able to be repurposed at the end of their life. Me3D printers are designed to have a low carbon footprint. It’s amazing how 3D printing brings sustainability to the forefront of how someone thinks, and it shows the effect of localizing production in the way we assess the impact. Typically questions go in this order “How Big, How Strong, Is the plastic recyclable?” No one would ask if a child's toy or Christmas decoration is recyclable, or how many of these things are disposed of before they even make it to the shelves. By putting the manufacturing process right in front of them through 3D printing, they can see the local effect of any waste and this has a powerful impact on the way they look at sustainable living. Me3D has a very interesting business model. Can you share more about that and what your goals for Me3D are over the next 10 years? Starting your own company is just a wonderful opportunity for you to do things the way you always wanted. 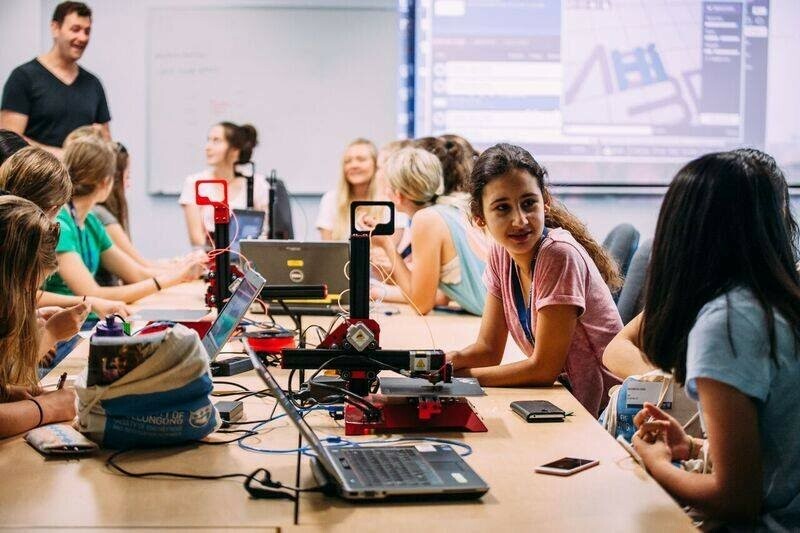 When we first introduced 3D printing to students, we realized that there was no way we could go into a classroom to create a world where anything could be made right there on your desk if we chose to manufacture our stuff several thousand kilometers away in another country. So when it was time to scale our production up, instead of going to China or India, we chose to work with Greenacres Industries as our manufacturing partner in Australia. Greenacres is an Australian Disabilities Enterprise that provides meaningful employment for people with disabilities. Working on the assembly and testing of our Me2’s has provided their employees with an amazing opportunity to upskill themselves, ready for the next wave of advanced manufacturing. Me3D printers are manufactured in Australia, cutting down on their environmental impact and providing meaningful employment to people with disabilities. We have kicked off some big plans at Seed3D.org that will see millions of kids gaining access to great 3D printing resources. We are inviting teachers all around the world to try our collaborative resource center preview and help us make a difference in better equipping the teachers and students of tomorrow. We would like to bring the cost of bio-printing down so that anyone studying in this field can make use of the technology. We have developed our own equipment for bio-printing research that is being used by a number of universities around the world at a fraction of the cost of comparable systems. Imagine what will happen when we can bring this kind of experimentation to high school students. We now have localized operations in Ireland, meaning the final assembly and servicing of our equipment sold to schools in Europe will be done there through a similar disabilities enterprise. Very soon we hope to have operations in Canada and South Africa, all based on the idea of doing as much as we can, as close as we can to our customers. What are some of the most important skills you’ve learned in your work that have helped you as an entrepreneur? Perseverance. Every day you have wins and you have losses, being able to push through to the next day is really the only skill you need. I left a well-paying job in a stable industry and started living on noodles to make a go of this because I believe it’s worthwhile. There is still a really long way to go before I would call this a success, but it’s been a great experience. What advice would you give to young designers and students based on your experiences? The world has enough selfie sticks, coffee cup holders and other stuff you might find on the home shopping network…Go find a real problem to solve for someone and solve it in the biggest way you can.